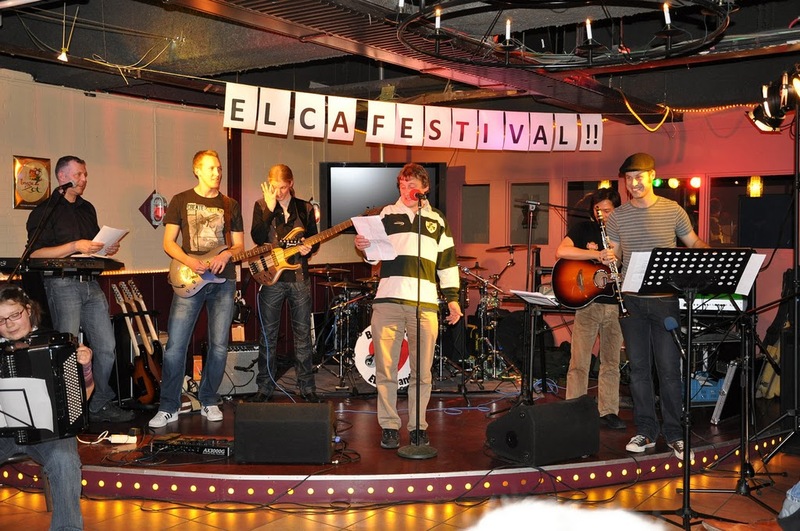 Last Friday, March 18, the Pub of the EE building of Delft University of Technology turned into a majestic rock temple. A broad spectrum of performances was offered to the audience, ranging from a clarinet concerto, via opera, flamengo, Mr. Micro, famous covers (from both the ELCA band and the ETV band) to societally engaged rock songs of Three and Ignoramus. Hopefully, Marijn, Senad and Yongjia will post some great pictures soon. So why the title of this blog then? Well, I was reading the thread at nu.nl about the latest situation in Japan, where the offical number of dead and lost people has now crossed 20,000 and I was thinking about an emotional Paddy at the ELCA festival, who has lived in the devastated area for quite some time and was not able to get in contact with a few of his Japanese friends over there since exactly one week. He fears for their lives and spoke the following memorable words: "You may think Japan is far away. Yes, that is indeed the case. You may think Japan is rich and should be able to take care of itself. Maybe they indeed can. However, if we were in their shoes, which is not a too unrealistic scenario since the Netherlands is threatened by water both from the see and the rivers, we would wish the Japanese would also think about us and help us." I fully concur with this. We have not yet counted the money collected, after which we will transfer it onto the Japanese Red Cross, but if you’re reading this blog — and I know you do — and would like to make a donation as well, please do so. The bank account of the Dutch Red Cross that has been opened for Japan is 6868. Great & Good, You have some really good posts here. I like your writing style and I’m going to spend the next few days reading them, I’m really happy for visited your blog.